More fungi! This time from mid December... I give the latin name first, then the common name in quotations. I'm not 100% about everything I identify. It's hard work, but very satisfying once the identification mystery is solved. Armillariella mellea - Honey mushrooms! A very tiny family. Not 100% identified. I have a couple ideas though... It could be the "boring brown bolete" or the "poor mans slippery jack". Either way, both names do not give too much hope to this little mushroom. You can really see the tubes in this cross section (same shroom from above). Mushrooms are fascinating. Lycoperdon foetidum - "Dark puffball". This was is very fresh; no spores yet! Vascellum pratenise - "Field puffball". Notice the green in the middle; those are spores! This is generally what my set up looks like when I'm working on identification. The mushroom caps are covered with a class and set on white paper so I can get a spore print. The color of the spores help me to identify what type of fungi I've found. 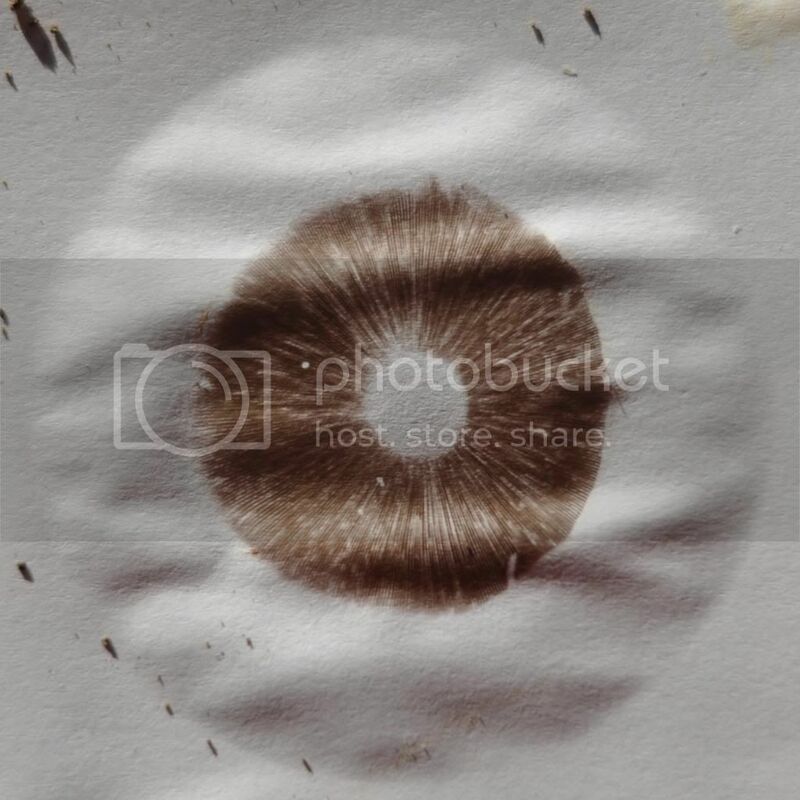 The class help by keep the caps undisturbed, which can create vivid spore prints like the image below. As always, more mushrooms to follow! I also have some film to share that involve love and bicycles. Hopefully I can get those edited and up next week. Posted in "Fungus Identification", "Nikon D90", "fungi", "mushroom"